Stew consists of chunks of meat and a variety of vegetables swimming in a rich, thick gravy. Thickening the liquid can be tricky, particularly when cooking in a Crock-Pot, but several techniques can accomplish this. Each of the techniques has advantages and drawbacks, but they will all eventually result in a velvety and flavorful gravy. 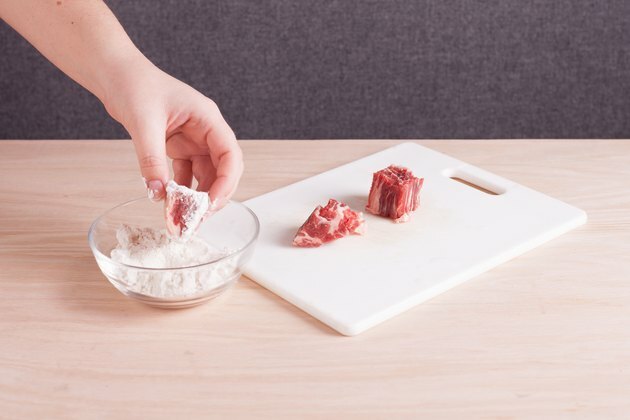 Dredge the chunks of beef in flour seasoned with salt and pepper, and brown them in a saute pan coated with cooking oil before assembling your ingredients in the Crock-Pot. The liquids in the stew will absorb the flour from the meat during the cooking process, thickening it at the same time. 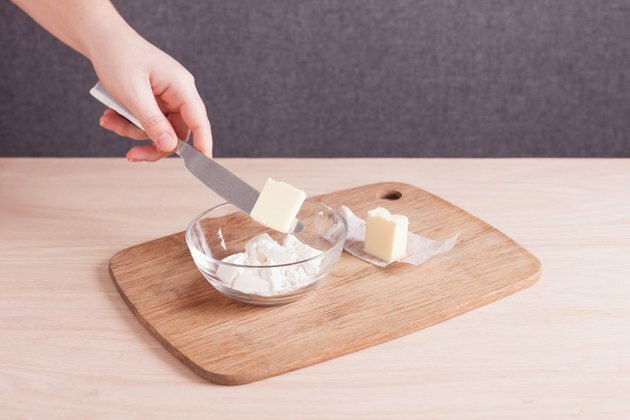 Mix equal parts of softened butter and flour, called a beurre manié, to thicken your stew. Start with 1/4 cup of each, combining to make a thick paste. Turn your Crock-Pot to its highest setting, and add the beurre manié to the stew 1 tbsp. at a time until the stew has thickened slightly, mixing well after each addition. 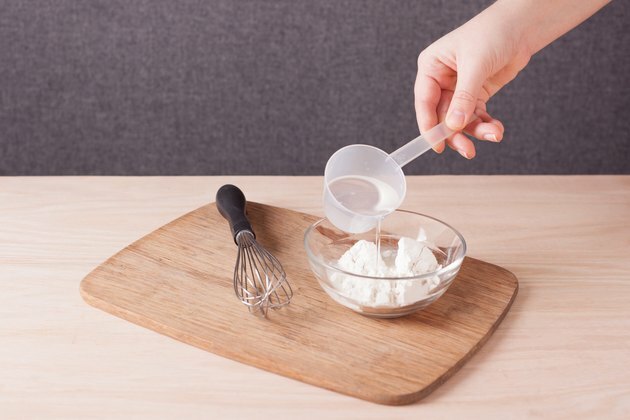 Make a slurry by mixing 1 to 2 tbsp. or flour into 1/4 cup of hot water. Turn the Crock-Pot to its highest setting, and drizzle the slurry in a little bit at a time, mixing well after each addition. Allow the stew to cook for an additional 10 to 20 minutes, or until the stew has thickened and no taste of the flour remains. Add a few extra potatoes to your stew when you start cooking. When you are ready to thicken the stew, turn up the heat on the Crock-Pot, remove the lid and mash up those extra potatoes with a fork. If you prefer, puree the potatoes in a blender or food processor, and add them back into the stew. 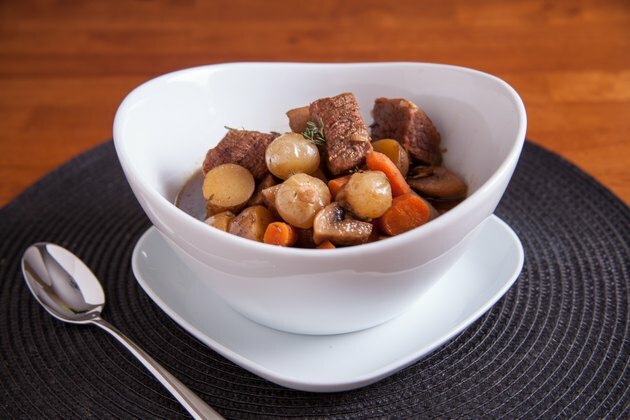 To help prevent lumps from forming when using a beurre manié or slurry mixture, remove 1 to 2 cups of the stew’s liquid from the pot and mix the slurry or butter-and-flour mixture into that liquid before adding it back into the Crock-Pot. If your stew thickens more than you would like it to, thin it out by adding broth, cream or a few pats of butter. You can use cornstarch in your slurry instead of flour, but only do it in a pinch, as cornstarch can lend a gummy texture to your stew.